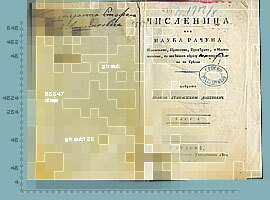 Journal "Review of the National Center for Digitization"
Coordination of efforts of institutions involved in the cultural and scientific heritage digitization. Establishing and promoting a national strategy for the cultural and scientific heritage digitization. Exploring, adaptation and implementation of international standards and protocols for the cultural and scientific heritage digitization and preservation at the national level. Development of new standards in areas where they do not exist. Launching the cultural and scientific heritage digitization and making plans for possible migration process to new formats and technologies for already digitized data. Collaboration with the similar institutions from abroad, particularly with the South-Eastern European Digitization Initiative (SEEDI).